At the beginning of home entertainment, families had nothing more then their imagination and a fireplace. Over the past century, this slowly began to change. The radio revolutionized home entertainment, bring the voice of the first radio stars and even the current president into the homes of millions of Americans. This was later eclipsed by an equally revolutionary invention, the black and white television. The living room now became centered on this box, a sign of its importance in our lives. Though the color television was not as revolutionary as the original black and white, it signaled an improvement in technology. Over the next half century, TV’s would continue to improve, adding increased quality, Internet options, and a stunning visual display. The next major leap in technology is upon us. Currently in its infancy, this new leap in television design signals a new frontier for image quality and immersion. So where does it currently stand, and what can we make of it? Along with the recent craze in 3D movies came a push to continue the experience at home. Many companies put money into research and development into trying to create a product that could meet this condition without being prohibitively expensive. As a result, numerous early models hit the market, with generally mixed reviews. 3D tv existed, but it hadn’t yet gotten to the point of losing the glasses entirely. However, there are many promising lines of testing currently going on. As attention moves to 4F TV design, does that mean that 3D is being cast aside? Recently, 4F TV design has become all the rage. This has led many to question whether or not 3d tv without glasses has been abandoned by companies. The truth is that according to numerous leading sources, it has not. 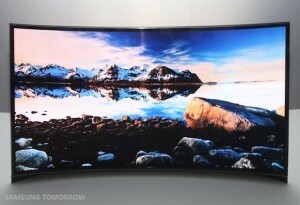 Instead, technology gained through 3D research is being incorporated into all new TVs as a default feature. One reason why it isn’t being talked about as much is because parts of it have become standard. So where does that leave us with 3d tv without glasses? Currently, there are only 3d TV models that require glasses. However, the technology is slowly being improved. What are some models, and how much do they cost? There are currently no models of 3d tv without glasses currently on the market. However, most major TV manufactures, including Samsung, Toshiba, Sony, Panasonic, and Vizio all produce versions of 3D television that requires glasses, suggesting that they are currently working on a glass-less version (more about this you can read in our ‘best TV on the market‘ article). Current speculation suggests that when they do eventually come out 3d tv without glasses will cost thousands if not tens of thousands, and will spend about a decade as a luxury appliance before the price slowly drops. So far, a 3d tv without glasses is a soon to occur hopeful advancement in TV technology. Whether or not you are the first to jump on, like the first radio or black and white TV owners, is up to you. a radio or color TV you want to be on the forefront, then this is for you.